Have you ever heard of holographic handwritten wills? In Michigan, where I live, Holograpic wills are legal. They are simple wills which are written out by hand, dated, signed, and witnessed, on how you would like your assets and personal possessions distributed at your death. Approximately 30 states in the USA allow holographic wills. Lots of folks don't know hand written wills are legal. Many times they aren't a great idea either -- you know if your situation is simple or complex (depending on the size of your estate, whether you have adult children who will share the estate, second marriages with children on both sides, etc.). Where are Handwritten Wills legal? 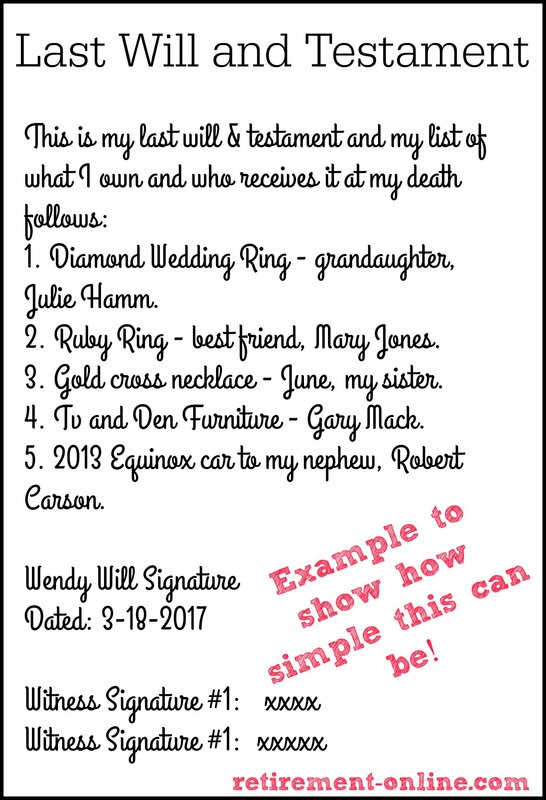 This link shows more information via Wikipedia on handwritten wills... you can check your state to see if this might work for you. It says: "The following states recognize holographic wills made within the state, though witnessing requirements vary: Alaska, Arizona, Arkansas, California, Colorado, Connecticut, Idaho, Kentucky, Louisiana, Maine, Michigan, Mississippi, Montana, Nebraska, Nevada, New Jersey, North Carolina, North Dakota, Oklahoma, Pennsylvania, South Dakota, Tennessee, Texas, Utah, Virginia, West Virginia, and Wyoming." Just click the link to learn more! 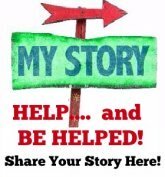 Simply write out a document that states this is your last will and testament and proceed with a list of who gets what possessions, sign and date the bottom, and get it witnessed (most states want two witnesses). Personally, I think this works best with your personal items. This gives you the opportunity to choose who gets your jewelry, furniture, vehicles, whatever you choose to give away to someone special in your life. reason, she never could do a hand written will, though encouraged to do so, and give names to her precious items. Where do you store your will? Now, where do you store the holographic will? With your important papers? Give it to someone who will do your wishes at your death? Think about it -- It needs to be someone who WILL follow through and process the will paperwork. People are funny when it comes to inheritances, however small they may be. If you think one of your heirs might not distribute your assets as you wish... don't leave it in their hands. Why bother with a will at all if your "will" isn't followed at your death? This is obviously a very simplistic will but if you don't have a large estate, and know how you want your personal items to be distributed in a specific manner, this is one option to consider. Read my story about the "Bull Sh** Will", a handwritten will real-life story here. Did you know that a holographic will is the subject of John Grisham's 1999 legal thriller The Testament? It sounds good, from Amazon:"In a plush Virginia office, a rich, angry old man is furiously rewriting his will. With his death just hours away, Troy Phelan wants to send a message to his children, his ex-wives, and his minions..."
A handwritten will is also in Grisham's 2013 novel Sycamore Row. In it, a wealthy man is dying of lung cancer. He trusts no one. Before he hangs himself, he leaves a new, handwritten will. Serving at a Battalion Aid station under heavy enemy fire, Hawkeye Pierce creates a holographic will in the M*A*S*H episode "Where There's A Will, There's A War". Read more on Estate Planning here.